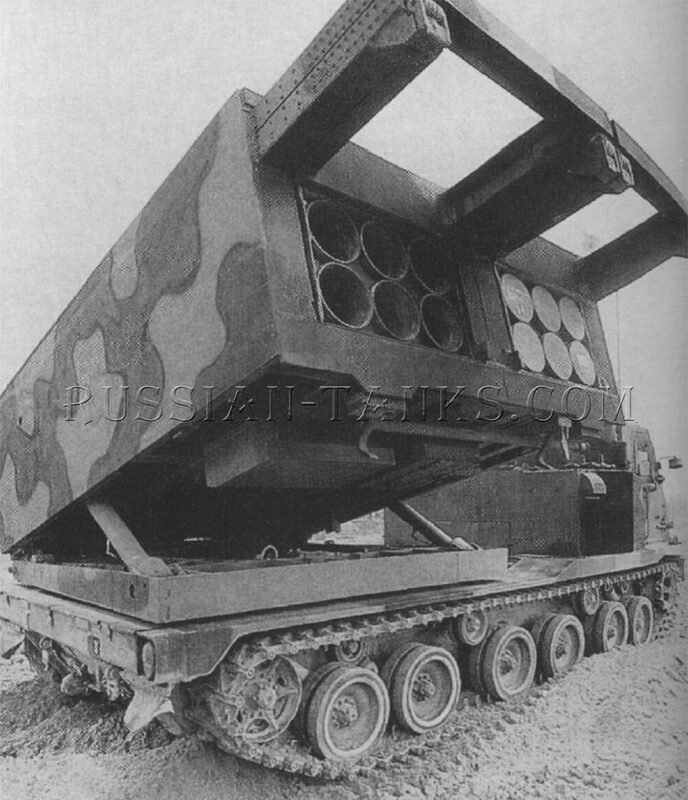 The M39 U.S. Army tactical missile system (ATACMS) also was designed for use with the M270 launcher on the MLRS. 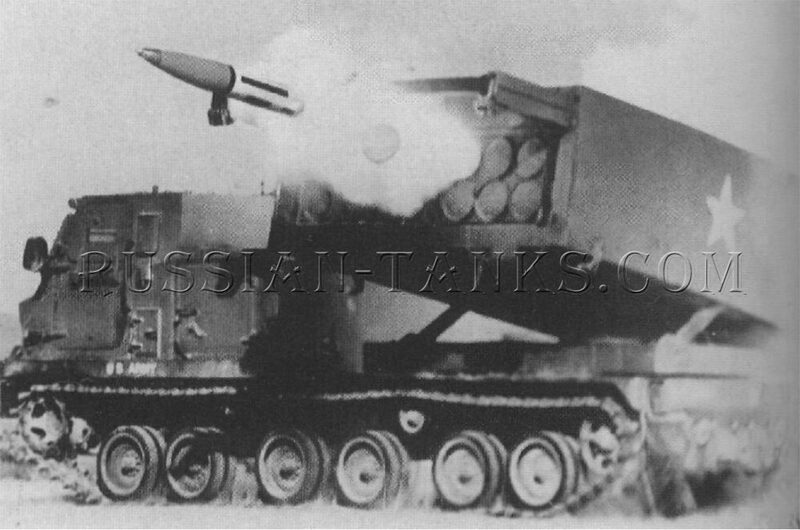 Development testing of the ATACMS was completed during the Spring of 1990 and the first production missiles were delivered in March. The missile measured 13 feet in length and 2 feet in diameter. Each was enclosed in a sealed pod having the same external dimensions as the six rocket pod used in the MLRS missile system vehicle. Thus two ATACMS missiles could be loaded into the M270 launcher. The Block 1 missile with the M74 submunition warhead weighed 3,687 pounds and had a maximum range of over 100 kilometers. 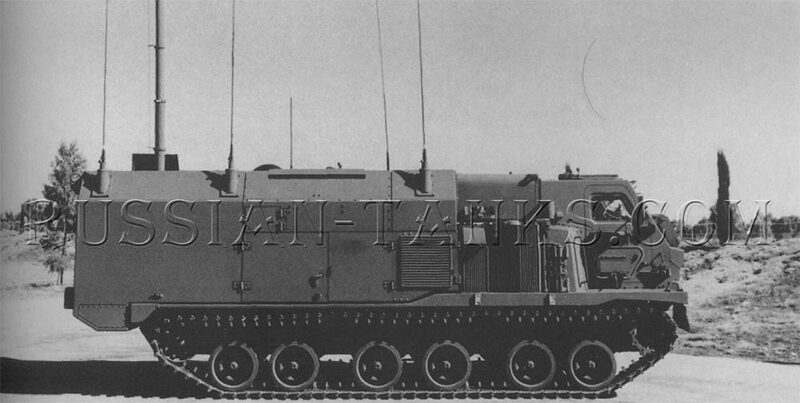 As a result of studies carried out in 1984/85, the Army considered that the FVS carrier was suitable as a replacement for the M1015 electronic warfare shelter carrier based upon the M548 cargo carrier. FMC, using their own funds, designed and built a prototype based upon the M987 carrier. Tests of this vehicle began in August 1986. 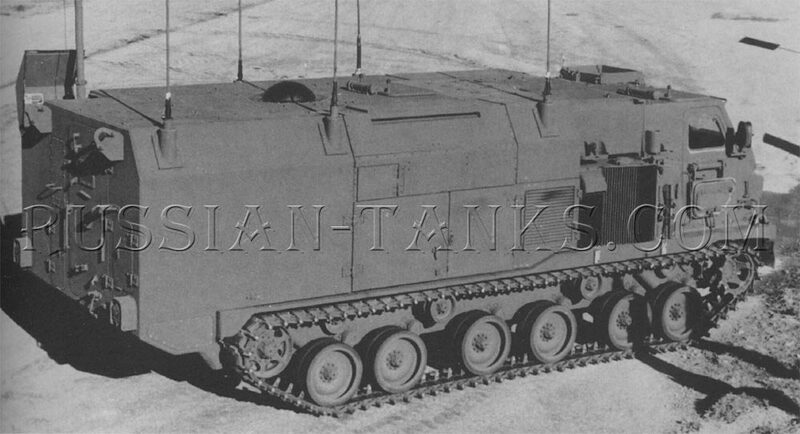 Designated as the XM1070 electronic fighting vehicle system (EFVS), it was fitted with a large enclosure fabricated from aluminum alloy armor. Modular armor kits also were available for increased protection. 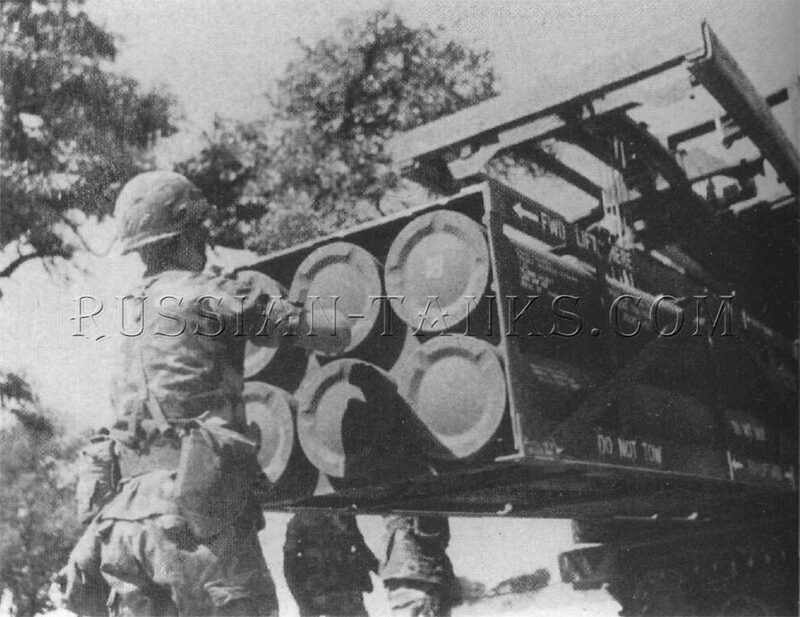 Manned by a crew of six including the driver, the XM1070 was fitted with a 6BT5.9 Cummins diesel engine in the enclosure as the primary power source for the electronic equipment. This engine drove a generator providing 60 kilowatts of AC power. The vehicle engine also could be used a back-up power source for the electronic equipment. A retractable antenna mast was installed on the left rear of the enclosure. It could be extended to a maximum height of 20 meters. The crew compartment was slightly pressurized for NBC protection. The FVS carrier also provided a mobile platform for the Hughes VSTAR variable search and track air defense radar system. This system used a large stationary antenna with electronic scanning. The antenna rotated to provide 360 degree coverage. When not in use, the antenna was stowed in a horizontal position on top of the vehicle. For operation, it was raised to a vertical position. 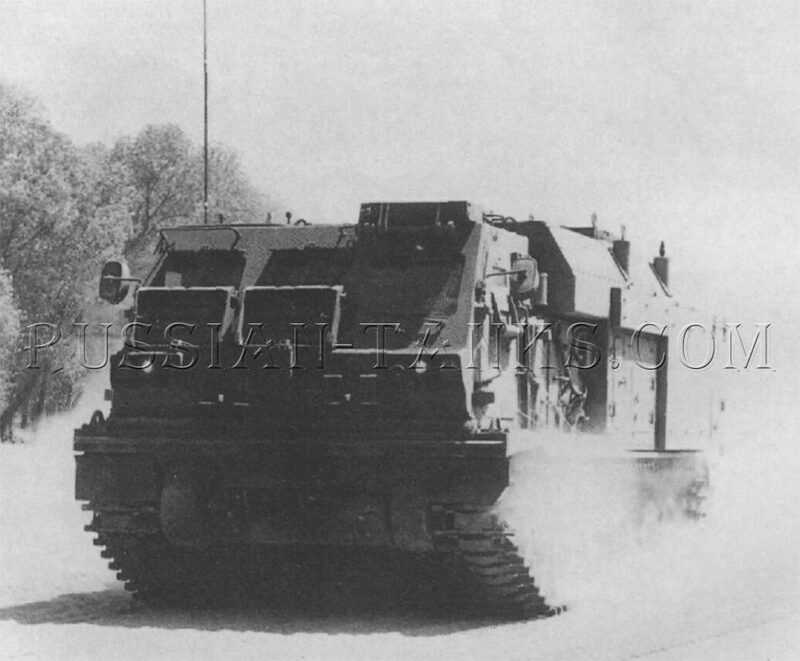 The XM4 command and control vehicle (C2V) was intended to replace the M577 command post carrier in corps through battalion headquarters of heavy force units. 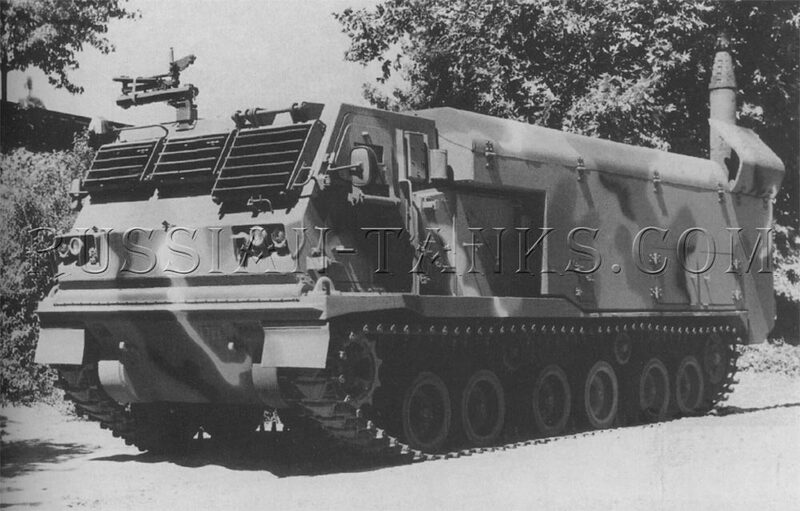 Using the MLRS missile system chassis, the C2V was powered by the 600 gross horsepower VTA-903T engine with the HMPT-500-3EC transmission. It provided space fornine men including the driver. A telescoped antenna mast could be extended up to a maximum of 10 meters in 30 seconds. The aluminum alloy armor enclosure was provided with a heating and cooling system as well as NBC protection. 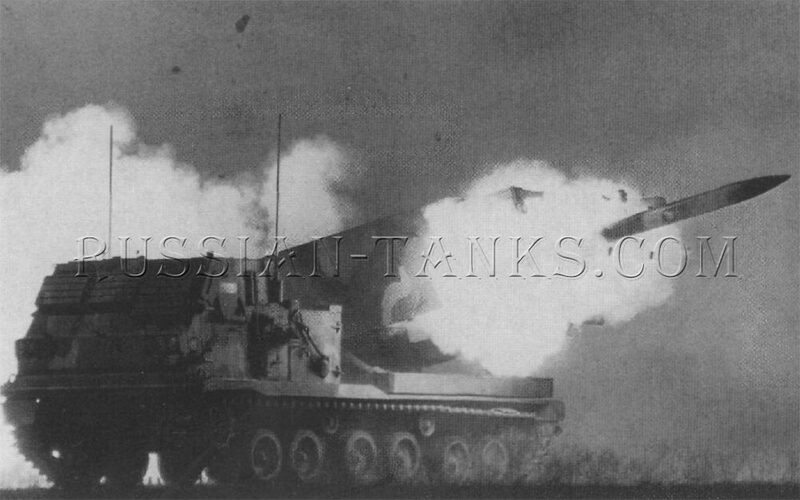 The XM4 was capable of closed operation for up to 24 hours and it was fully operational while moving. The vehicle had a maximum road speed of 40 miles per hour. Another proposed application for the carrier was as an armored treatment and transport (Composite hull) vehicle (ATTV). It was intended to serve as an armored ambulance to evacuate casualties from the forward area and provide early treatment. 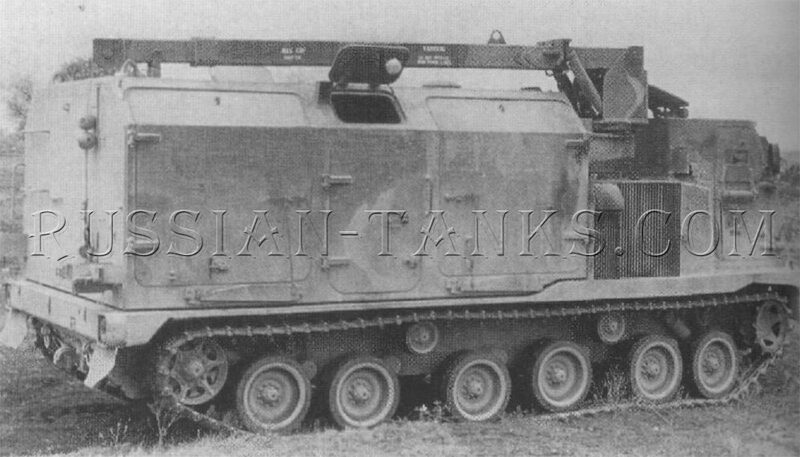 The ATTV used the same power train as the XM4 C2V and a similar armored enclosure. In a litter patient configuration, it could transport nine patients on litters plus a three man crew consisting of the driver and two medical personnel. Arranged for ambulatory patients, it could carry 12 plus the same crew of three. 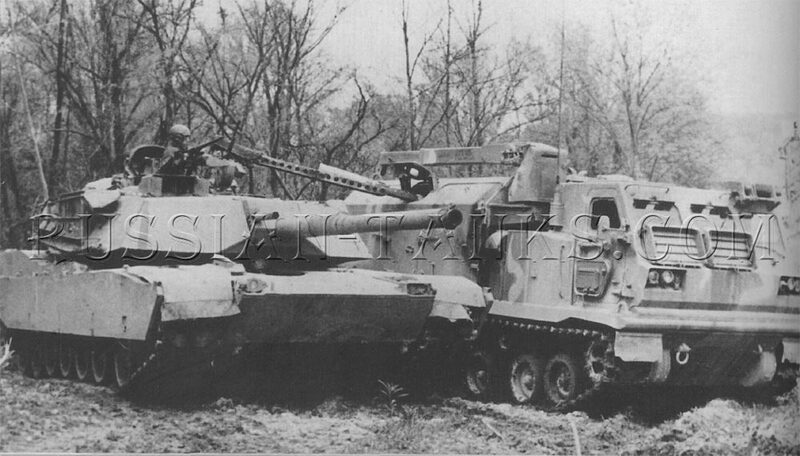 FMC proposed three types of vehicles based upon the M987 as the forward area armored logistics system (FAALS). These three were an armored rearm vehicle, an armored refuel vehicle, and an armored maintenance vehicle. 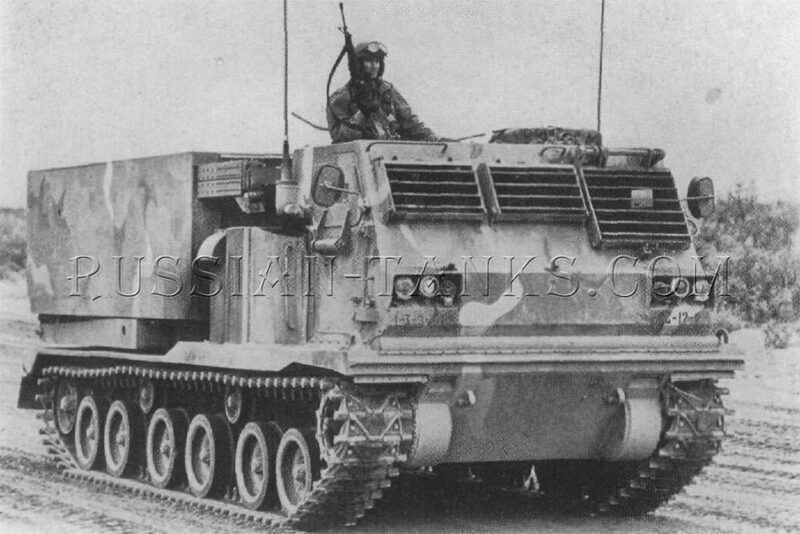 All three had a large aluminum alloy armored enclosure installed on the rear of the M987 Bradley chassis vehicle. It was fitted with a crane capable of lifting more than five tons. As an armored ammunition rearm vehicle, it could carry six pallets of tank ammunition or as an armored refuel vehicle, it could transport 2,000 gallons of fuel. It could be converted from one type to the other in only one hour. 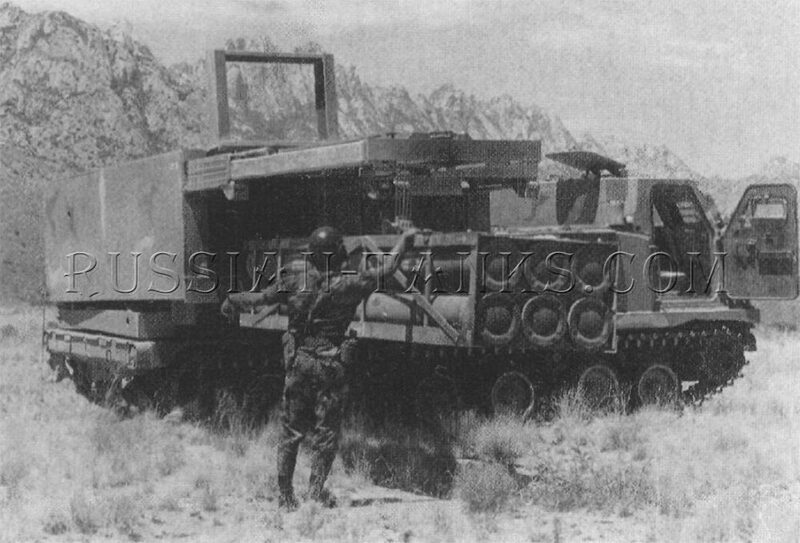 The armored maintenance vehicle carried welding equipment, an air compressor, an hydraulic pump, a work bench, and other tools and repair equipment. Seating was provided in the enclosure for three additional crewmen. http://massage-manhattan.com/ where is nuru massage in manhattan.